ZCG is an Australian owned business operating since 1970. We manufacture hundreds of antenna models to suit your RF communication and broadcasting requirements. The design and development of new products is always an ongoing process for our Technical Services Department. 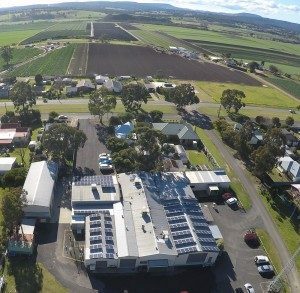 Our Head Office and manufacturing plant is located in Lindenow, East Gippsland, Victoria, Australia. We also have Branch Offices and Warehouse facilities in Browns Plains, Queensland and Canning Vale, Western Australia. See the Contact Us page for further details. Our product range includes Fixed position, Radio and TV Broadcast, UHF STL grid-packs, Vehicle Mount Mobile Phone and 477 CB Radio, Marine and Wireless data. In the majority of cases, ZCG will have an antenna designed to serve your purposes. If not, you are welcome to enquire and we will consider special designs to meet your specific requirements. Because we design and assemble our antennas in-house, quality control is monitored at every step of the process. We provide exceptional quality, superior performance, prompt delivery and meaningful customer service relationships. We take pride in every product we design and manufacture. Our reputation has been built upon these high standards, which now includes ISO certification. ZCG are distributors of quality RF MAX Coaxial Cable, Connectors, Adaptors, Cable Fittings and numerous other Accessories. For Power Dividers, Phasing Harnesses, Frequency Filters, Telescopic Masts, assembled Cable Sets, Power Surge Protection, Mounting Clamps and much more, we stock a huge range and can assist with all your RF requirements. We also offer Technical and Field Services such as antenna installations and maintenance, tower steel work design and maintenance, field strength surveys, EMR surveys and technical consultancy about Broadcast and RF antenna system design.